Some people do it, some people don’t. I’m in the former category. I can’t fathom why anyone wouldn’t want to know exactly what’s in their bank accounts. I’ve heard excuses running the gamut from “I know how much money I have” to “Why bother?” Why bother? Because who the heck wants to pay crazy overdraft fees? People who don’t balance their checkbooks are likely the same people who have no idea how much money they spend on a regular basis. They probably spend their funds on inane things they don’t need or the latest electronic gadgets. Not that there’s anything wrong with electronic gadgets, mind you. But I think it points to a generally lackadaisical attitude toward personal finance. 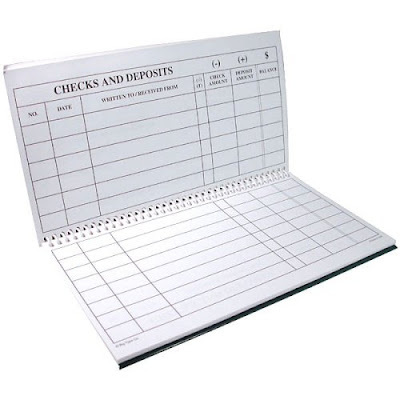 I don’t update my checkbook register every day — more like once a week. I collect my receipts and input the withdrawals, and pay bills online. At the end of the month, I add in any accrued interest. There’s nothing wrong with keeping on top of your finances. In fact, weekly accounting will help you determine if your bank is charging you any unnecessary fees. I also only use my bank’s ATMs 99% of the time, instead of incurring withdrawal fees from other banks.